Metallography is one of the metallurgical practices to study microstructure of material either by microscopy or macroscopy. Most of the features required for general engineering purpose are resolved in optical microscopy. 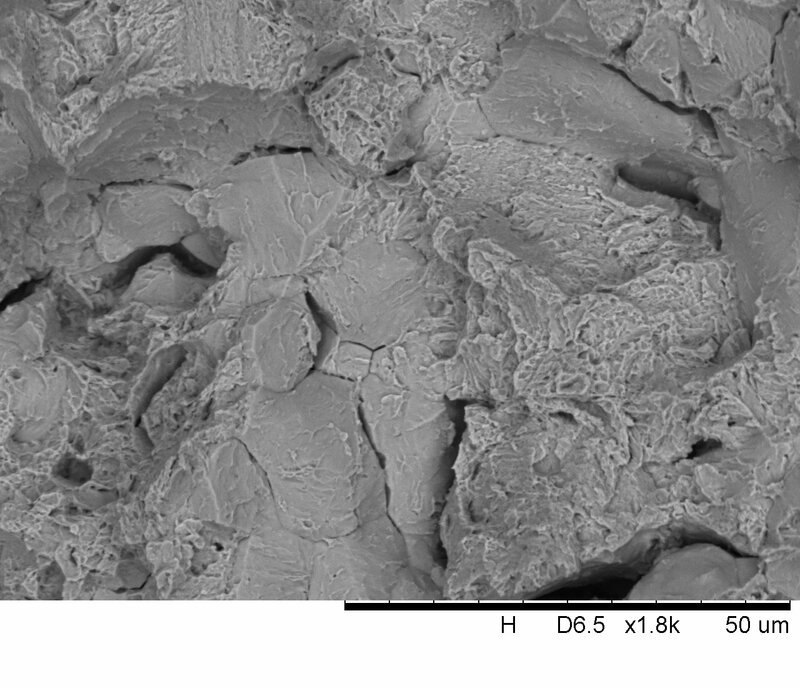 Scanning Electron microscopy and Transmission electron microscopy are advanced methods of metallography which are applied when the microstructure cannot be resolved at less than 1000x or when loking for a specific microconstituent or a feature. Metallography involves systematic sample preparation commencing from specimen extraction to final etching. The test specimens are extracted from the product or sample by cold cutting to prevent change in the microstructure from normal cutting. Occasionally, small specimens are mounted (hot or cold mounting) in phenolic or epoxy resins or bakelite. Test specimens are ground in stages commencing from coarse grained abrasives to fine grained followed by final polishing using diamond paste. Typical final polishing is performed using 1 micron diamond paste. Depending on the requirements, the test specimens are chemically etched to react with selective micro constituents which aids in discriminating each type of micro constituents. Prepared specimens are examined under optical microscope or low magnification stereoscope or scanning electron microscope to reveal and interpret the microstructure. Microscopy is also performed on actual products without destroying the product or diminishing the further use of the product. Replication of the microstructure is one of the examples of performing on-site, in-situ metallography on the product in service. Following is one of the examples of Hydrogen embrittlement identified by LMATS staff. LMATS Laboratories in Melbourne, Sydney, Brisbane and Perth provides laboratory based or on-site metallography services. Contact one of the LMATS laboratories near your location.